Harvey, which has already shut energy platforms in the Gulf of Mexico, scattered tankers and disrupted pipeline operations, strengthened into a hurricane on a path that’ll have it slamming into Texas’s coast Friday. 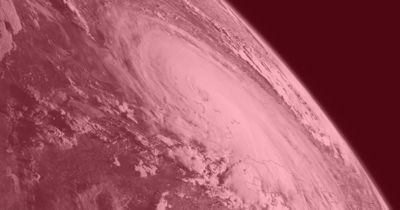 Harvey’s top winds reached 80 miles (129 kilometers) per hour as it bears down on the Texas coast about 340 miles southeast of Corpus Christi, Texas, according to an update from the National Hurricane Center. It is on track to become a Category 3 storm, the first major hurricane to hit the U.S. since Wilma in 2005. Texas Governor Greg Abbott declared a state of disaster for 30 Texas counties. In addition to the potential loss of life, flooding can close roads and knock out power to homes, businesses and refineries. The five refineries in the Corpus Christi area can process about 868,000 barrels a day, or 4.2 percent of total U.S. capacity, according to Lipow Oil Associates. A further 11 refineries in Houston, Texas City and Baytown have a capacity of about 2.7 million barrels a day. 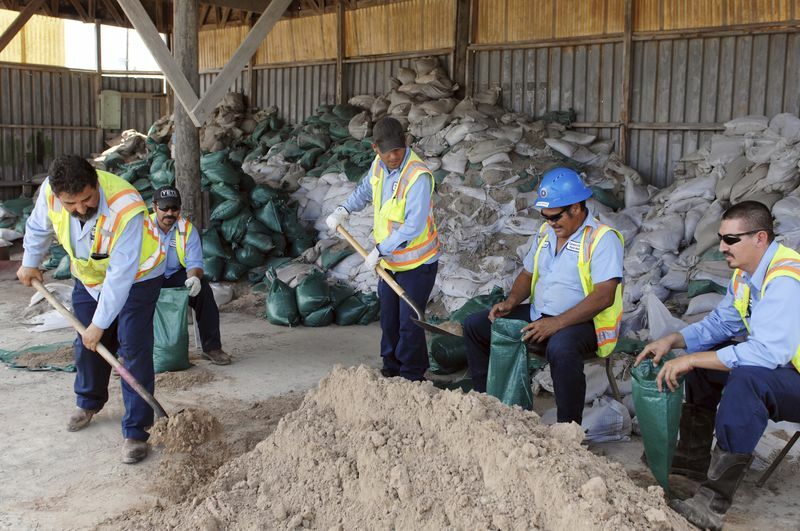 Workers prepare sandbags ahead of Tropical Storm Harvey in Brownsville, Texas, on Tuesday, Aug. 22, 2017. Corpus Christi ship pilots suspended incoming boardings, according to the port. All foreign ships, except for one, are leaving the port to steer clear of the storm, the U.S. Coast Guard said. Magellan Midstream suspended operations at its Corpus Christi marine terminal and condensate splitter early Thursday. The storm will bring heavy rains. The U.S. Weather Prediction Center is calling for more than 20 inches (51 centimeters) of rain from Corpus Christi to Houston in the next seven days. Kinder Morgan Inc.’s Tennessee gas pipeline declared force majeure for stations in south Texas on Friday and also plans to evacuate some staff.